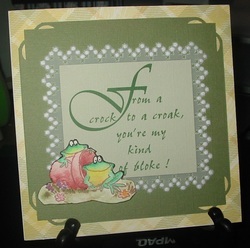 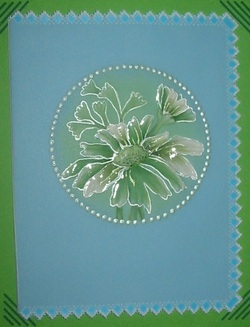 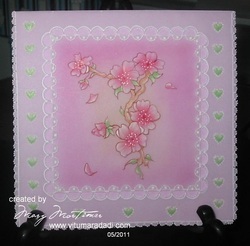 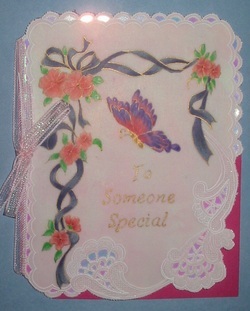 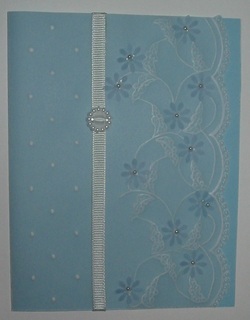 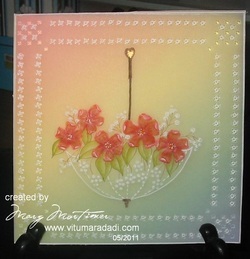 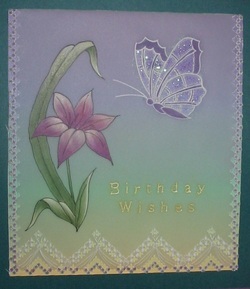 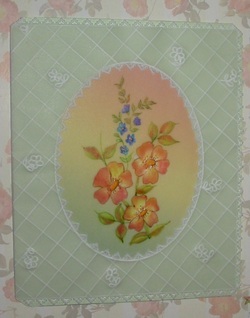 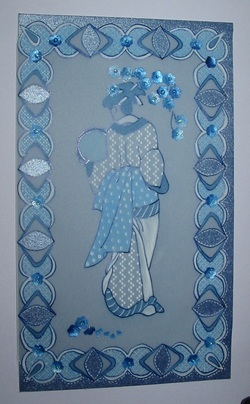 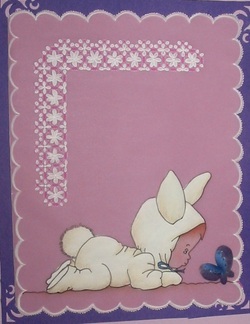 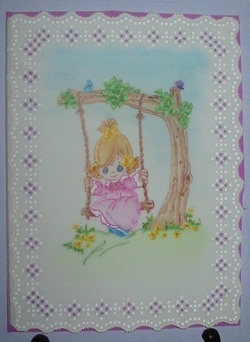 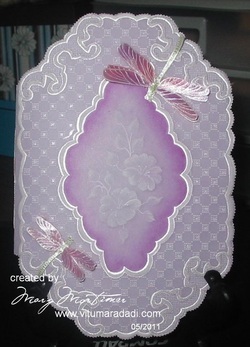 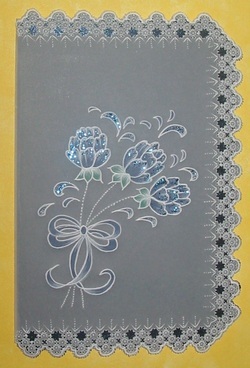 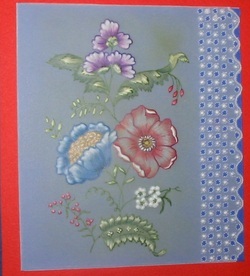 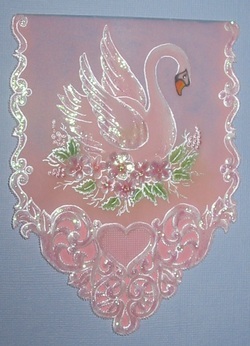 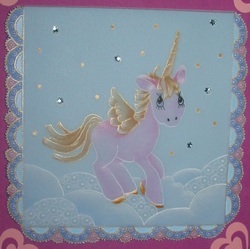 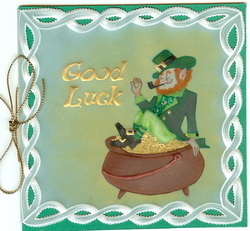 This is a card designed by me to teach at teh Toowoomba Parchment Craft Camp. 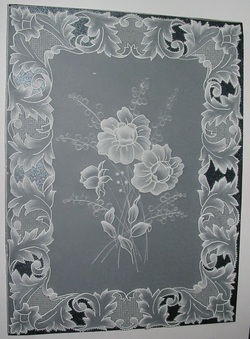 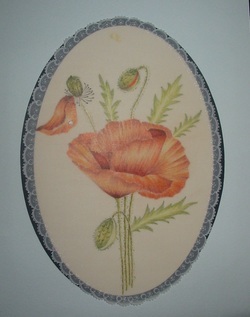 The image is a composit of two images sourced from Google Images. 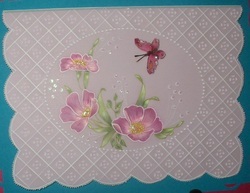 The boardere is part of a celtic boarder.